Chelsea defender Alonso: Courtois to Real Madrid...? Chelsea defender Marcos Alonso hopes Thibaut Courtois isn't tempted away to Real Madrid. 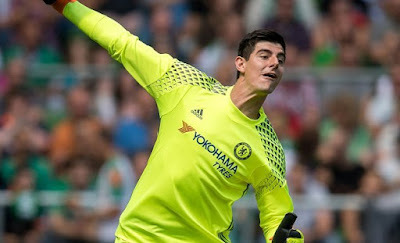 According to online reports, Courtois has been linked with a move to Real Madrid at the end of the season. Alonso is desperate for his Chelsea team-mate to stay at Stamford Bridge.